Home » CJSF Radio Kids Camp 2017: now open for registration! CJSF Radio Kids Camp 2017: now open for registration! Registrations for CJSF's Radio Kids Camp are now open. This August, CJSF 90.1 FM’s Radio Kids Camp enters its ninth year of introducing children to the wonderful world of radio! CJSF 90.1 FM is a community radio station on the SFU Burnaby campus that aims to make space for all voices on the airwaves, including young people in our community. At the Radio Kids Camp, participants aged 8 to 12 will have the opportunity to produce their own show and learn about recording, sound editing, sound effects and DJ-ing – all while enjoying familiar summer camp activities like workshops, games and field trips to local cultural venues and media outlets. 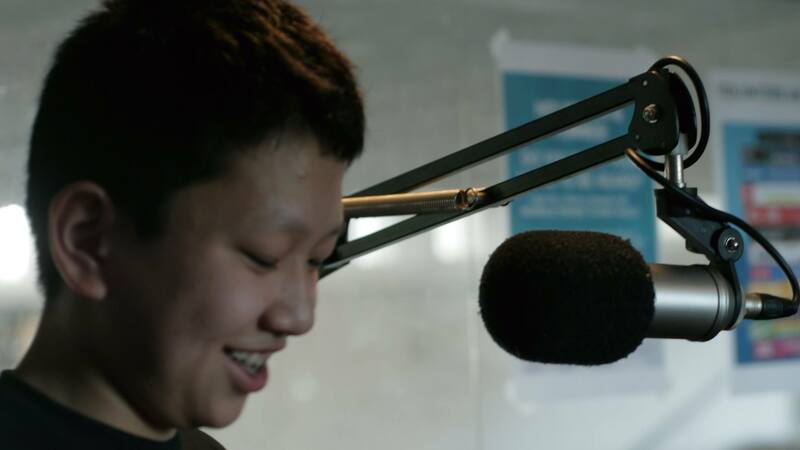 At the end of the week, Radio Kids Camp participants will create their own live radio program on CJSF, playing music that they choose and broadcasting the stories that they have created during the week. Throughout the week, campers will be learning radio journalism skills that will aid them in thinking critically about the world and creatively expressing their passions and ideas. The camp will run from 9am to 4pm during the weeks of Aug. 8-11 and Aug. 21-25. Sign up for the Aug 8-11 Radio Kids Camp intake and pay only $150 per participant, including service and processing fees; the Aug. 21-25 Radio Kids Camp intake will cost $170 per participant, including service and processing fees. There are a limited number of spots available for the Radio Kids Camp (subject to waitlist), so please register as soon as possible! Camp activites finish at 4pm most days. Camp starts at 9am each day. Campers can be picked up up until 5pm. We still have spots available. Register now!